Each year, Dalton High School successfully prepares students for their Advanced Placement exams. The school is now home to 67 AP Scholars for 2018, including one National AP Scholar. The National AP Scholar title is given to students in the United States who receive an average score of at least 4 on all AP exams taken and scores of 4 or higher on 8 or more exams. Sheshan Patel, Class of 2018, received this title for 2018. Dalton High School Principal Steve Bartoo said he is glad the AP program is continuing to grow and that students are finding success through it. "The students who take our AP courses are highly motivated and welcome the academic challenge the program provides," said Bartoo. "We are pleased that more students are seeing the benefit of taking AP classes, realizing the rigor of the course prepares them to be successful at the college level." 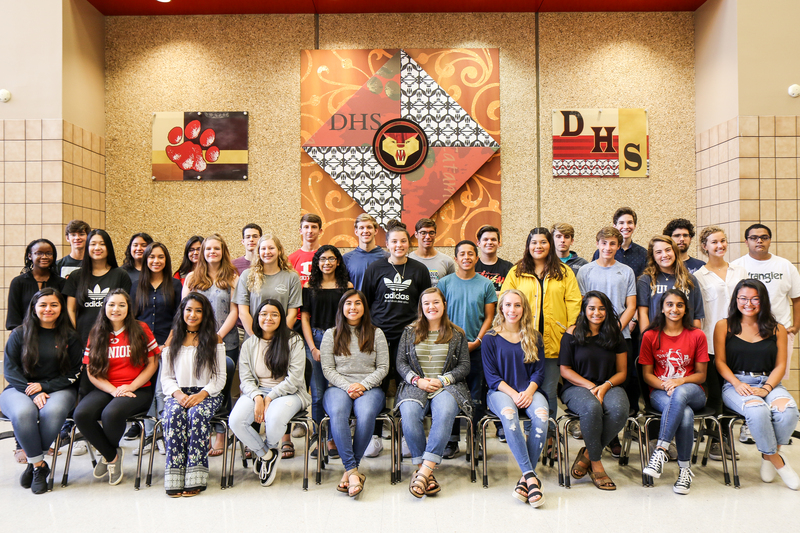 All AP Scholars, Pictured Left to Right - Front Row: Erica Quinonez, Jessica Gonzalez, Litzy Orozco, Jennifer Lopez, Vivi Huijon, Anna Grace Rogers, Amber Fischer, Surbhi Bhatter, Jill Patel and Hillary Dong. Middle Row: Gabrielle Allen, Catherine Nguyen, Naomi Paniagua, Taylor Triplett, Brooke Haverland, Evelyne Solis, Chloe Swaney, Cristian Yergara, Lesly Medina, Jackson Wright, Sadie Cowan and Caroline Coleman. Back Row: Lawrence Rich, Monserrat Mendez, Yuritzy Ramos, Anthony Calderon-Schuler, Justin Ketchem, Sean Pye, Jonathan Shaheen, Jake Dean, Oscar Chenard, Keenan Pasqua, Michael Millefanti and Ansh Shah. 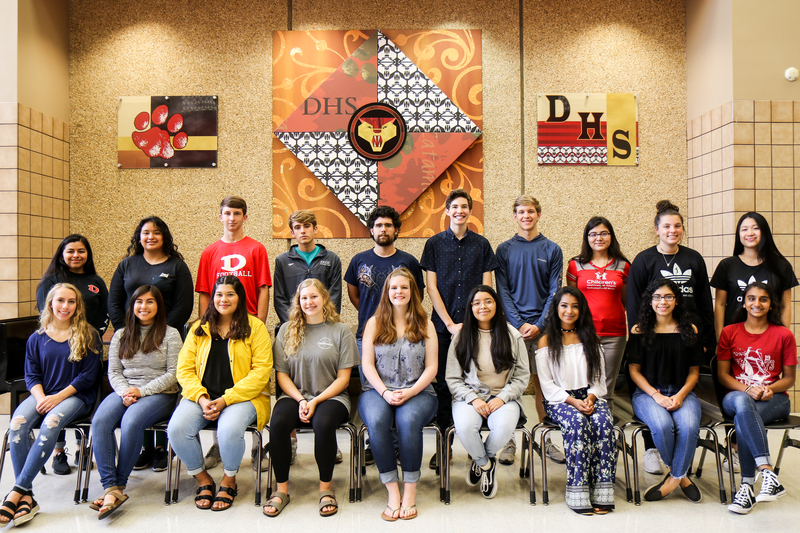 AP Scholars with Honor, Pictured Left to Right: Front Row: Sadie Cowan, Taylor Triplett, Naomi Paniagua, Jessica Gonzalez and Evelyne Solis. Back Row: Jake Dean, Yuritzy Ramos, Lawrence Rich, Ansh Shah and Gabrielle Allen. AP Scholars with Distinction, Pictured Left to Right: Front Row: Surbhi Bhatter, Anna Grace Rogers, Caroline Coleman and Hillary Dong. Back Row: Jackson Wright, Anthony Calderon-Schuler, Jonathan Shaheen and Cristian Vergara.